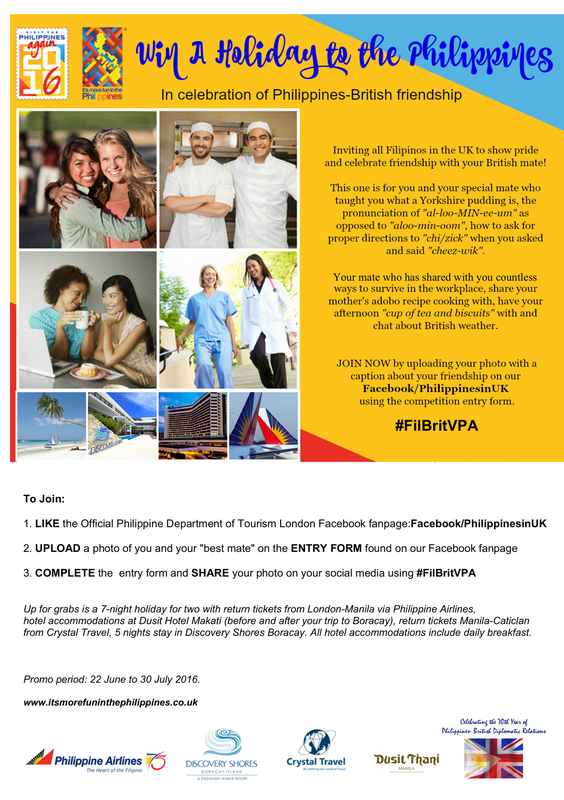 To commemorate the 70th anniversary of Bilateral Relations between the UK and the Philippines, from 22nd June to the 30th July The Philippine Department of Tourism is giving people the chance to win a 7-day holiday for two to the Philippines, with return tickets courtesy of Philippine Airlines. 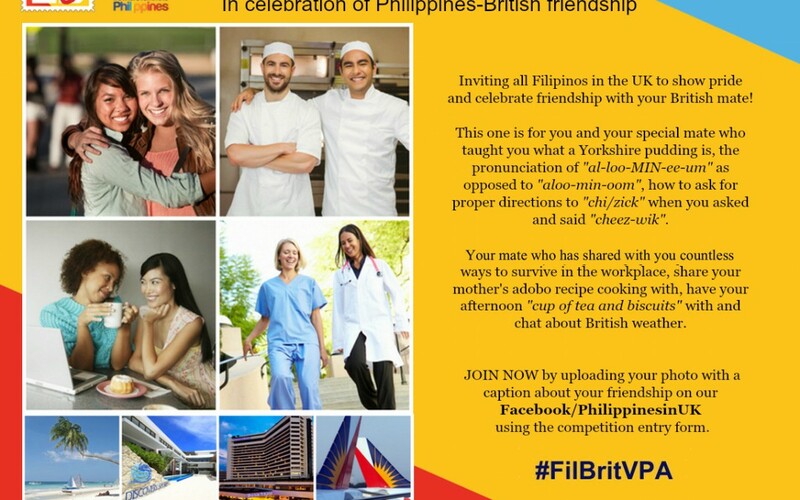 The project invites all Filipinos in the UK to show pride and celebrate friendship with their British mate, targeting the Filipino-British community to commemorate the 70th year of the Philippine-British Diplomatic Relationship. 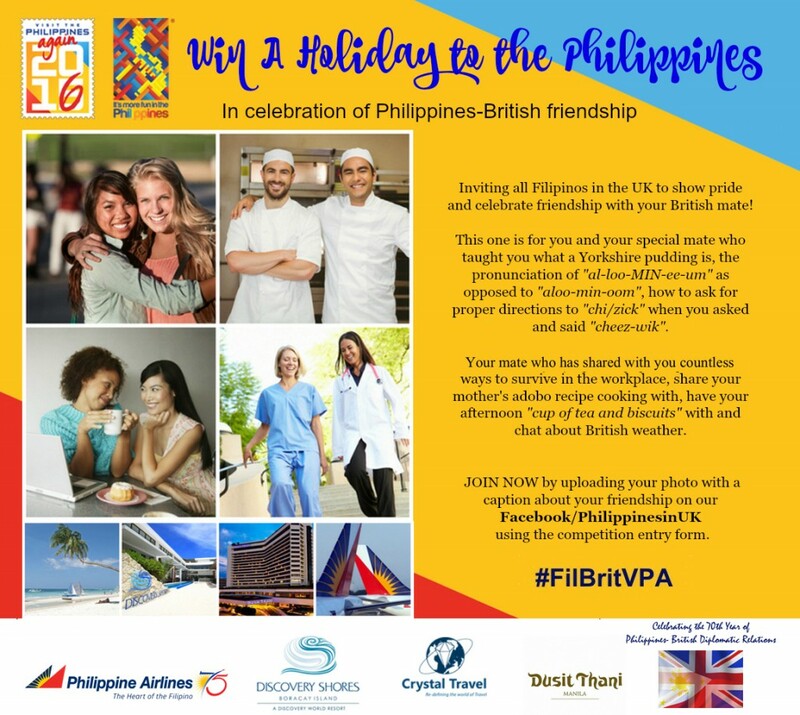 Participants will be in with the chance to win a 7-day luxury holiday for two to the Philippines – with hotel accommodations at Dusit Hotel Makati, return tickets from Manila to Caticlan via Crystal Travel, and 5-nights stay in Discovery Shores Boracay. 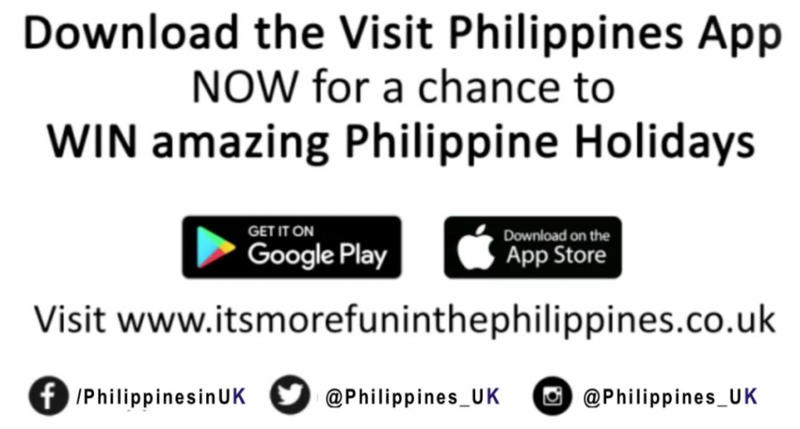 Central to this campaign is the newly founded partnership between the Philippine Department of Tourism and Round the World Experts which will promote packages to the Philippines throughout the duration of the campaign. 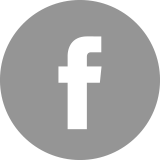 As part of the partnership with PDOT, the Philippines as a destination will be promoted throughout both Round the World Experts’ active networks during the campaign including their website and social media platforms, published newsletters and the “Experts” magazine of Flight Centre. Furthermore, the Philippines will also remain an “always on” destination on Flight Centre and Round the World Experts for additional marketing support until the end of the year. 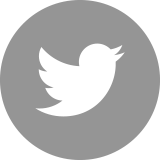 The winner of the competition will be announced on the 30th of July. 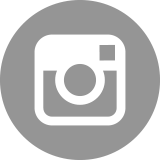 Instant prizes will also be available daily during the Kings Cross takeover campaign, with social media live updates to follow. Download the OFFICIAL COMPETITION FLYER HERE. 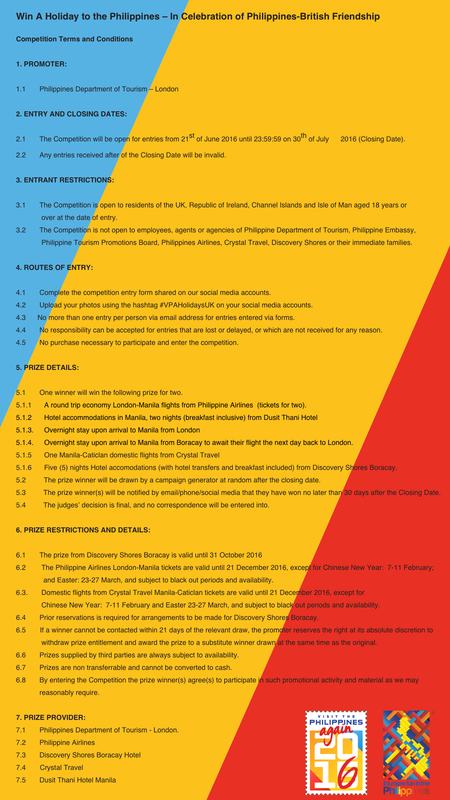 Click for the OFFICIAL RULES HERE.